As part of each exhibition, B2B meetings will be organised with the participation of local and foreign entrepreneurs, and thematic conferences will take place. The benefits of such dialogues are beyond doubt! Here you can meet with experts, representatives of ministries, heads of trade unions and associations, journalists and others. B2B meetings between exhibitors and local manufacturers and distributors will be an additional effective business platform for direct meetings and negotiations between market participants. 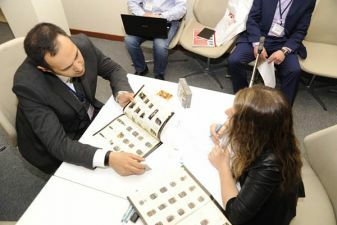 The tradition of holding business breakfasts for participants long before the start of each day’s exhibition will likewise contribute toward maximising the benefits of all the resources available at the exhibitions.